A classic Keen silhouette defines a rugged, outdoorsy sandal designed for go-anywhere adventure with contoured arch support and a water-repellent mesh lining. Multidirectional flex grooves in the rubber sole enhance your range of motion and provide reliable traction on rough terrain. 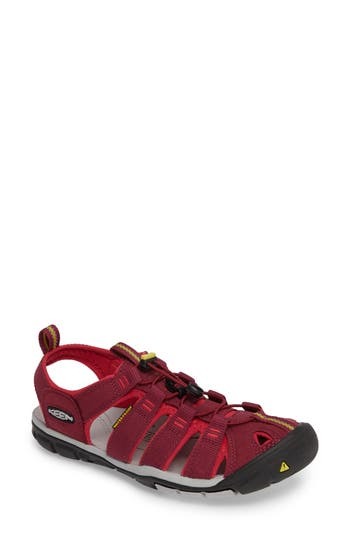 Style Name: Keen 'Clearwater Cnx' Sandal (Women). Style Number: 647988. Available in stores. A squared statement heel and a deconstructed bootie profile distinguish a velvety suede sandal with a tall vamp and a towering personality. 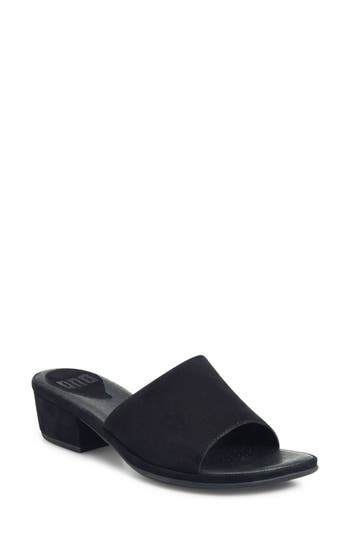 Style Name: Topshop Nico Sandal (Women). Style Number: 5358954. Available in stores. A simple cross-stitched seam adds texture and interest to the toe of a curvy tie-back sandal with a squared stacked heel adding geometric lift. 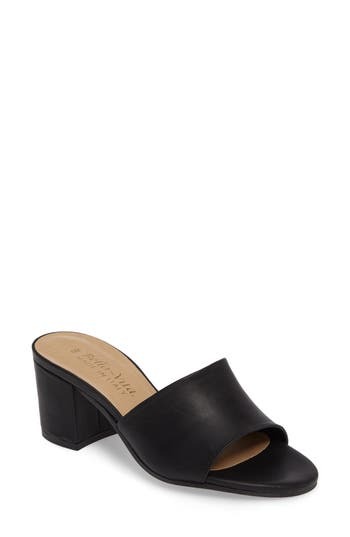 Style Name: Sole Society Albany Slingback Sandal (Women). Style Number: 5419520. Available in stores. Interwoven leather straps extend the refined character of a versatile sandal set on a sleek stacked heel. Style Name: Kenneth Cole New York 'Charlene' Sandal (Women). Style Number: 5011491. Available in stores. A smooth leather upper and a thick, razor-lugged sole distinguish a lightweight slip-on designed with a padded slingback and footbed for comfort. Style Name: Naot 'Lantana' Sandal (Women). Style Number: 5023727. Available in stores. 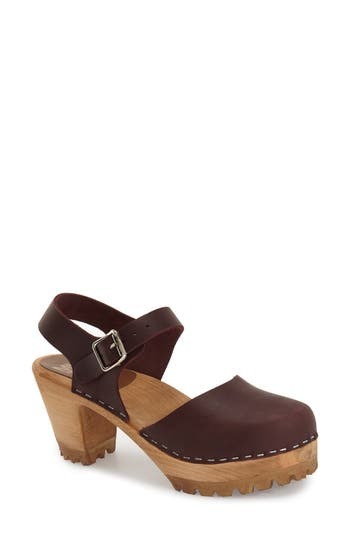 Contrast topstitching outlines a clog-inspired, platform sandal set on a chunky, lugged wooden heel. 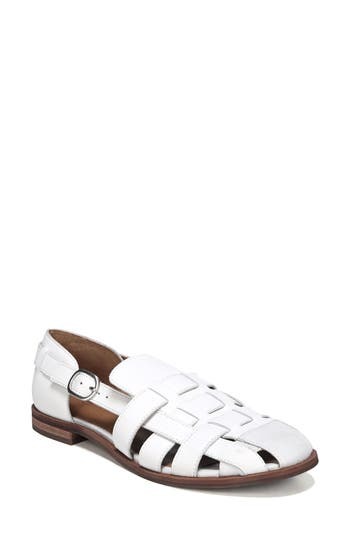 Style Name: Mia Abba Sandal (Women). Style Number: 5091670. Available in stores. Nailhead studs secure the soft, vegetable-tanned leather of a comfort-minded sandal set on a cutout, wood-look heel. A contoured EVA footbed provides superior arch support, while the rocker-bottom sole helps propel the foot forward as you walk. Style Name: Dansko 'Thea' Sandal. Style Number: 399842. Available in stores. 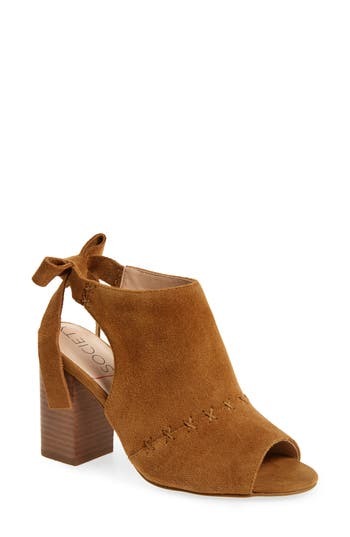 Smooth suede amplifies the vintage appeal of a stacked-heel sandal grounded by a signature cork-cushioned footbed. 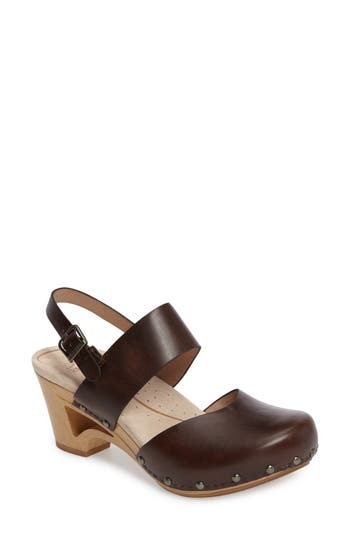 Style Name: Kork-Ease Lawton Sandal (Women). Style Number: 5279597. Available in stores. Look absolutely stylish in this light-hearted espadrille sandal designed by illustrator Jason Polan. 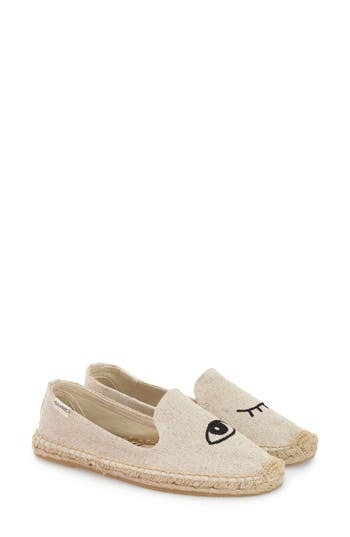 Style Name: Soludos Jason Polan Espadrille Sandal (Women). Style Number: 5049667. Available in stores. Iconic Burberry checks add signature appeal to an ankle-strap sandal cast in a flattering d'Orsay silhouette. Lush suede trim and metallic sequins bring a dash of modern style to the classic espadrille look. Style Name: Burberry 'Abbingdon' Ankle Strap Espadrille Sandal (Women). Style Number: 5214731. Available in stores. A grosgrain-capped toe protects from scuffs on an everyday woven leather sandal featuring an adjustable buckle for fit and a low heel for comfort. Style Name: Sarto By Franco Sarto Lulu Fisherman Sandal (Women). Style Number: 5437822. Available in stores. 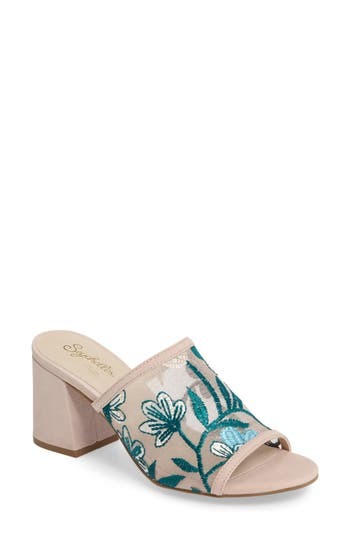 Straps are knotted together at the vamp of a cute slide sandal crafted from soft suede. Style Name: Joe's Story Sandal (Women). Style Number: 5447759. Available in stores. 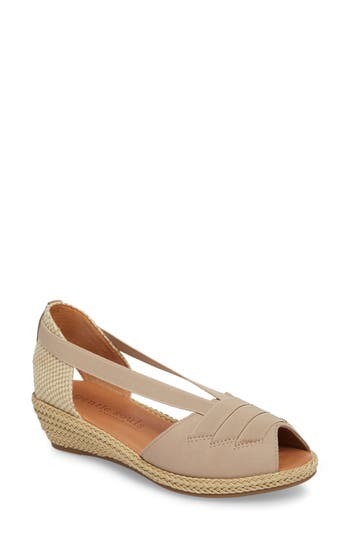 From its peep toe to its braided jute low wedge, this stretchy sandal is a classy way to welcome warmer weather. Style Name: Gentle Souls Luci Wedge Sandal (Women). Style Number: 5234315. Available in stores. Soft woven straps bridge the open sides of a comfortable, casual sandal set on a low, jute-wrapped platform. 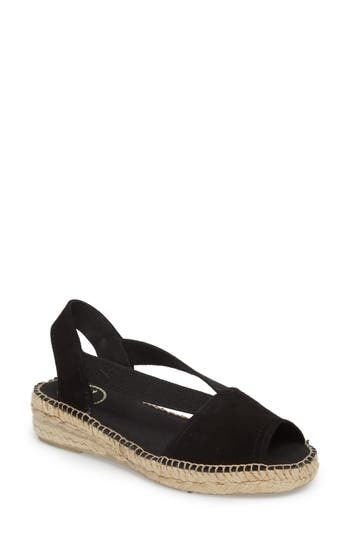 Style Name: Toni Pons Ella Espadrille Sandal (Women). Style Number: 5500227. Available in stores. Kiltie fringe enhances the sophistication of a chic slide sandal crafted from supersoft suede. Style Name: Marc Fisher Ltd Whitley Slide Sandal (Women). Style Number: 5339165. Available in stores. Floral embroidery highlights the peekaboo mesh cuff of a sophisticated sandal set on a slightly flared block heel. Style Name: Seychelles Nursery Block Heel Sandal (Women). Style Number: 5361367. Available in stores. A sleek cuff enhances the modern minimalism of a block-heel slide sandal grounded by a comfort-cushioned footbed. Style Name: Ono Bo Block Heel Slide Sandal (Women). Style Number: 5307961. Available in stores. 3Wide, crisscrossed suede straps balance the covered block heel of a sleek slide sandal. 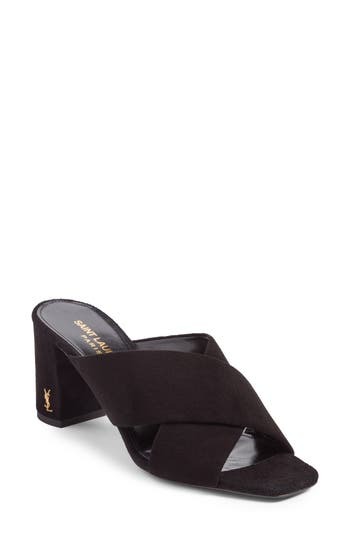 Style Name: Saint Laurent Loulou Sandal (Women). Style Number: 5378714. Available in stores. Imitation pearls and brassy studs bring trend-essential shimmer and dimension to the bridge of an inky black suede slide crafted with a slightly squared toe and a slightly flared block heel. Style Name: Jeffrey Campbell Parr Embellished Slide Sandal (Women). Style Number: 5367354. Available in stores. 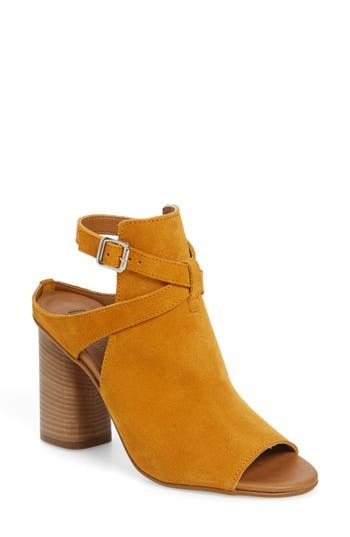 Soft leather and a crescent block heel make this wardrobe-essential mule both comfortable and effortlessly timeless. Style Name: Bella Vita Mel Slide Sandal (Women). Style Number: 5416925 1. Available in stores. 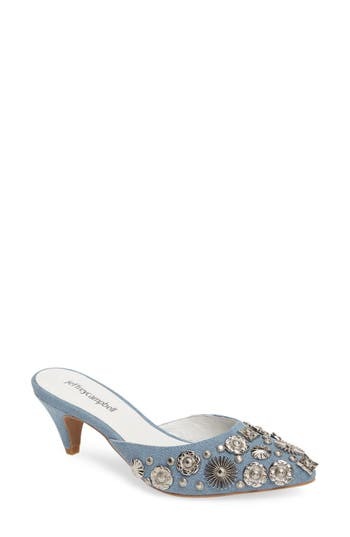 Silvery embellishments stud a '90s-inspired sandal crafted from light-washed denim and set on a wrapped kitten heel. Style Name: Jeffrey Campbell Jena Slide Sandal (Women). Style Number: 5284886. Available in stores. Metallic embroidery in a celestial motif adds a striking touch to a clean-lined, block-heel slide sandal. 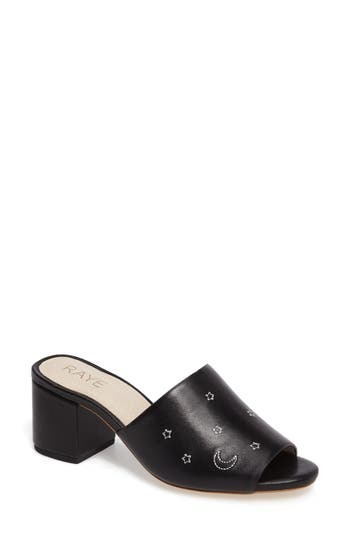 Style Name: Raye Cain Cosmos Slide Sandal (Women). Style Number: 5400378. Available in stores. Concave rectangular buckles bring sleek curves and smart geometries to a double-strap sandal lofted on a wrapped demi-block heel. 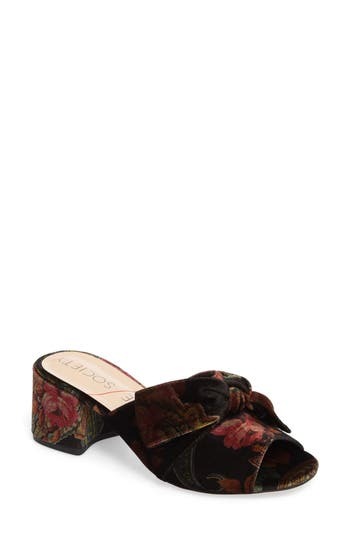 Style Name: Avec Les Filles Millie Buckle Strap Sandal (Women). Style Number: 5430977. Available in stores. A lush bow loops through exaggerated eyelets atop a double-strapped suede sandal, perched on a lofty, wrapped block heel. Style Name: Avec Les Filles Megan Tie Strap Sandal (Women). Style Number: 5430976 1. Available in stores. 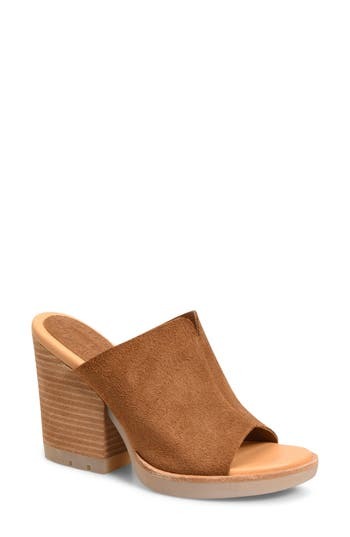 Smooth suede amplifies the retro attitude of a lofty platform sandal set on a dramatic demi-wedge heel. Style Name: Topshop Leonie Platform Sandal (Women). Style Number: 5366468. Available in stores. Wispy scalloped trim delicately accents a chic slide sandal lifted by a striking heel. 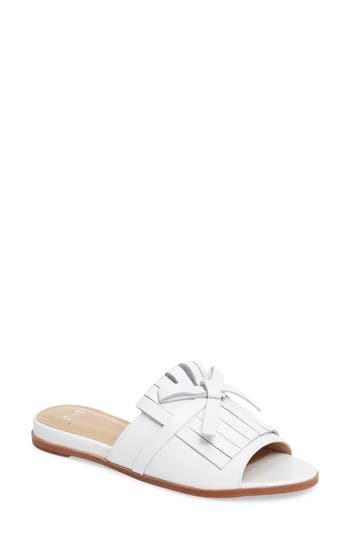 Style Name: Calvin Klein Marrese Slide Sandal (Women). Style Number: 5459334. Available in stores. 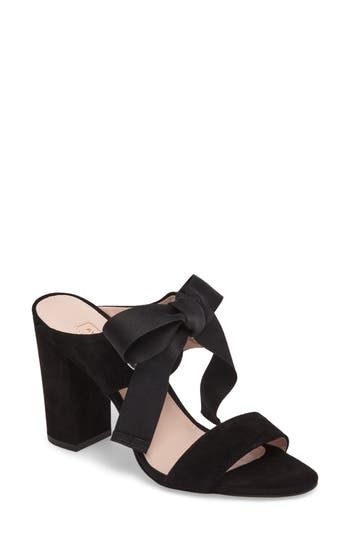 These trend-right mules are wrapped in plush velvet and casually knotted at the vamp for laid-back glam vibes. Style Name: Sole Society Cece Mule Sandal (Women). Style Number: 5503451. Available in stores. 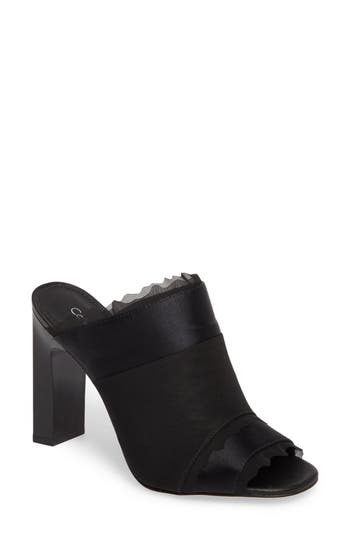 A chunky stacked heel lifts a sleek slide designed with wide straps that crisscross at the vamp. 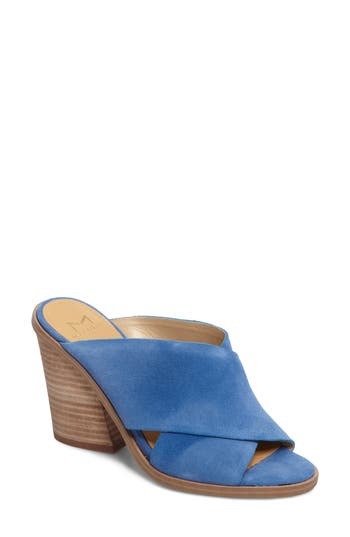 Style Name: Marc Fisher Ltd Volla Sandal (Women). Style Number: 5438633. Available in stores. A brilliant neon hue adds standout style to open-toe mules lifted by a walkable block heel. 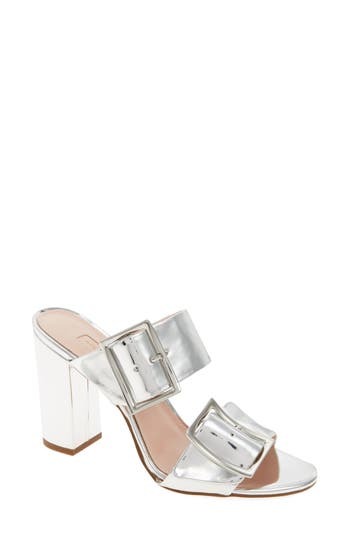 Style Name: Topshop Nickle Mule Sandal (Women). Style Number: 5506982 1. Available in stores.